First and foremost, I need to apologize to one of my avid readers for the review I’m about to give on this book. She recommended it to me and told me it’s one of the best books about the Beatles/Lennon that she’s read. My other readers may want to keep her opinion in mind while reading my thoughts on this book, because everyone sees (and reads) things differently. The Lennon Companion by Elizabeth Thomson and David Gutman was first published in 1987 and then revised in 2004. My copy is the 2004 edition that I bought used on Amazon.com for a penny. It’s a collection of articles and thoughts on both the Beatles and John Lennon from various reporters, writers, magazines and newspapers around the world starting in 1963. Well, for the first time, dear readers, I’m going to admit that I didn’t finish a book. I take my book reviews very seriously and find it insulting to the authors and my readers to not read the book in its entirety before giving my opinion. I managed to get over halfway through the 260 pages after skipping several wordy articles that managed to say nothing as far as I was concerned. 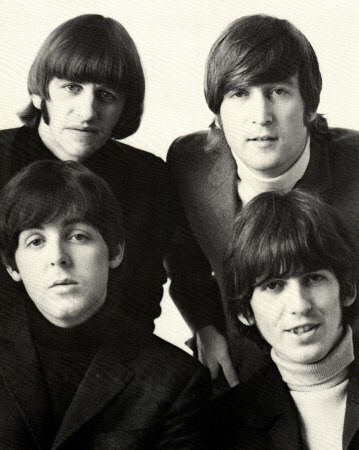 Many of the articles seemed to be written by reporters who wanted to jump on the Beatles’ bandwagon to help boost their own popularity and ratings. Page after page of nonsense was written for newspapers and then published again in this book! This isn’t to say that all the articles were worthless. I did find one piece that was written about a playwright that was being considered to write a third movie for the Beatles. His screenplay was returned to him without ever being told why it was rejected, but it’s easy to figure out from the playwrights own thoughts on the subject. I did find it interesting to hear about the Beatles movie that was never made. Now maybe somewhere in the second half of this book there is another gem of an article that could bring some enlightening new fact to my limited knowledge of the Fab Four. But truth be told, the book literally kept putting me to sleep. I could not keep my eyes open and napped frequently during my quest to finish the book. Despite my review, and as I’ve already said, one of my readers considers this to be the best book she’s read. You can judge for yourself whether it’s a real page turner or a replacement for your sleeping pills by buying a used copy for yourself for $0.01 on Amazon. I have this book as well and didn’t finish it for the exact same reasons. I’m sure there are many people who disagree with us, but I’m glad to hear I’m not the only one that couldn’t get into this book. I hope someone can comment with some of the more outstanding articles in the book for us to read. I’m the unnamed reader who loves this volume. I’m surprised, truly, by this reaction. But I am a great believer in everyone being entitled to his/her own opinion. Thank you, Linda! As I said, now I can at least say I’ve read it. For reasons I won’t go into, my book is temporarily unavailable for me to browse through…. But for those who wanted some suggested entries to look at, I particularly remember Stu Sutcliffe’s sister presented quite an interesting psychological étude. Then there was Pauline Kael’s look at Yellow Submarine (and extrapolations thereupon)…. I enjoyed Peter Schickele’s “Say, John” (musicologist Schickele, aka PDQ Bach)… The book’s Intro was great reading for me!! I think what impressed me overall was what variety of articles were offered– and the caliber of the writing. (I am a sucker for erudition– not ‘bogus’ intellectualism, but the real deal.) Musicologists, while John might have blown them off, often have very interesting points to make about Beatles music. They are, if nothing else, thought-provoking. Anyway, as I said previously, everyone’s opinion is valid. I just love this book.